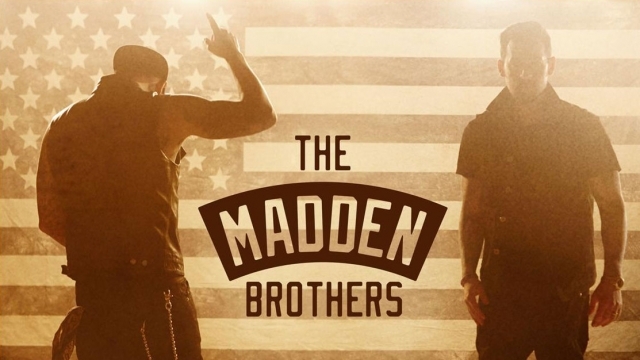 Joel and Benji Madden, now formally known as The Madden Brothers, have revealed an interesting shift in their sound with new track We Are Done, the first single from their forthcoming album Greetings From California. The tune is a noticeable change in direction for the Madden boys, who rose to fame as part heading up pop-punkers Good Charlotte. They’ve been recording under the Madden Brothers moniker for a while now but the autotuned thumpers they’ve previously unleashed have nothing on this little AM gem. We Are Done kicks off with a bouncy guitar riff and a pared-back Northern soul rhythm section and some very restrained vocals before the chorus blasts off into full blown ’70s pop wall of sound. It’s appealing, resepctably catchy, and the perfect accompaniment for their next Vodafone campaign. Greetings From California, which is currently set for release on Friday, 3rd October, will be split into two parts. Part 1, produced by Eric Valentine, will feature We Are Done and a raft of simiar “upbeat, sunny pop-rock” tunes. Part 2, produced by Joe Chiccarelli, will reflect a southern rock and ’70s-era FM. Yes, we’re responsible for that petition for the twinsies to vacate Australia , but honestly that was like a year ago, are you still hanging on that? We know a good tune when we hear one and, honestly, it’s refreshing to be so pleasantly surprised. Check out this week’s new music right here!